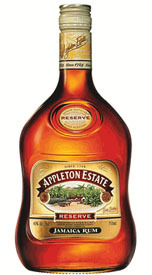 At Riverpark in NYC, 21 journalists, bartenders and aficionados tasted 26 premium aged rums. The products were served "blindly", without distractions of brand names. The order of service was established beforehand by lottery. Strict tasting rules were applied. 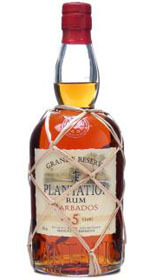 Each of the rums were poured into fresh glasses from new sealed bottles, and immediately served at room temperature. Ice water and plain hard rolls were available to cleanse the palate. Food was served during a break. The judges wrote down their impressions of each product on score sheets. The scoring was done on a 5-point system, with 5 as the best. Double-Gold, Gold, Silver and Bronze medals are awarded based on a set range of final point scores received from the judges. The tasting notes are summaries of the judges’ opinions. Prices quoted are for 750ml sizes. Prices may vary by state and do not include sales tax. Nose: Floral, toffee, caramel, vanilla, molasses, dried fruit, nutmeg. Palate: Creamy, buttery, vanilla, caramel, cinnamon, spice, chocolate, biscuit, sherry, woody, light oak, rich, sweet, robust, lovely, classy, flavorful, delicious, amazing, round, well-balanced, smooth. Finish: Burnt sugar, caramel, sweet, clean, lingering. Nose: Burnt sugar, light caramel, ginger, cinnamon, almond, sugar cane, chocolate, spearmint candy. Palate: Vanilla, cream, butterscotch, caramel, toffee, treacle, banana, apple, malty, clove, floral, nutty, spice, sweet, smooth, well-balanced, nice, awesome. Finish: Smooth, oaky, coffee/toffee, botanical, great, lingering. 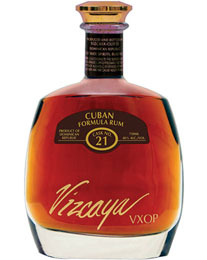 Nose: Cane sugar, butterscotch, cocoa, coconut, nutmeg, caramel, vanilla, toffee, maple syrup. Palate: Vanilla, molasses, toffee, honey, sweet, buttery, creamy, butterscotch, cantaloupe, banana, hazelnut, cinnamon, ginger, clove, pepper, spice, woody, medium bodied, mellow, well-balanced. 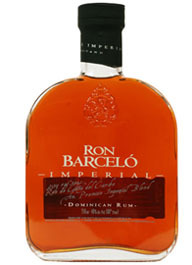 Finish: Sweet sherry, brown sugar, spicy, velvety, smooth, short. Nose: Caramel, vanilla, buttery, almond, marzipan, nutmeg, spice, black tea. Palate: Butterscotch, cream, hot butter, rich caramel, vanilla, honey, maple syrup, toffee, cocoa, cinnamon, coconut, hazelnut, almond, nutty, licorice, smooth, round, robust, well-balanced, excellent. Finish: Soft, light, sweet, smooth. Nose: Fresh, sweet, faint oak, blossoms, lightly floral, fruity, butterscotch, molasses, cocoa, vanilla. Palate: Honey, butterscotch, caramel, banana, apple, biscuit, nutmeg, cinnamon, hazelnut, toasted almond, vanilla, oak, smooth, soft, sweet, very smooth, even, well-balanced, excellent, inviting. Finish: Creamy, slightly spicy, gentle, big. Nose: Brown sugar, coffee, toast, lime, floral, oak, faint nutmeg. Palate: Vanilla, caramel, honey, creamy, fruity, pear, sweet malt, buttery cinnamon, nutmeg, tobacco, cola essence, sherry, oak, woody, menthol, round, balanced, very smooth, lovely, excellent. Finish: Smooth, round, even roasted, lingering. Nose: Cinnamon, honey, caramel, toffee, light toast, apple, green tea leaves, mint. 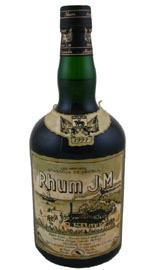 Palate: Creamy, vanilla, fudge, toffee, molasses, sherry, sugar cane, sweet, dried fruit, plum, citrus, coffee, nutmeg, floral, ginger, spicy, smoky, robust, very smooth, excellent, yum. Finish: Slight spice, molasses, pepper. 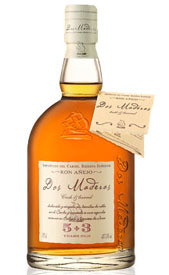 Nose: Vanilla, caramel, buttery, cane sugar, demerara, molasses, nutty, floral, rich. Palate: Toffee, butterscotch, honey, buttery, vanilla, strawberry, dates, coffee, mocha, spice, creamy, smooth, sweet, well-balanced. Light bodied. Finish: Oak, soft, smooth. Nose: Buttery, floral, vanilla, maple, butterscotch, sweet, toffee, oak, nutty. Palate: Butterscotch, caramel, toffee, creamy vanilla, molasses, dates, mango, sugar cane, sherry, toasted walnuts, almonds, nutmeg, floral, cloves, allspice, tobacco, woody, pine, oak notes, pepper spice, smooth, different, nice, mellow. Finish: Floral, caramel, slightly sweet, soft, a touch of spice, long. Nose: Vanilla, nutmeg, caramel, orange peel, spice, grassy, floral. 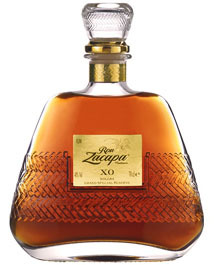 Palate: Sweet spice, honey, caramel, molasses, butterscotch, creamy, vanilla, apricot, pineapple, raisins, marzipan, maple, nutty, slight woody character, medium bodied, soft, very smooth, well-balanced, rounded. Finish: Light, buttery, floral, peppery, hints of leather, lingers nicely. Nose: Caramel, fudge, cola, chocolate, toffee, cream, dried fruit, cinnamon, nutty, rich. Palate: Honey, vanilla, caramel, sugar cane, molasses, fudge, toffee, butterscotch, cola, apple, banana, lemon, sultana, marmalade, hazelnut, cinnamon, clove, nutty, oak, sherry, woody, leather, pepper, spicy, smooth, well-balanced. Finish: Dates, nutty, long. Nose: Vanilla, maple, heavy cream, molasses, coffee, apricots, floral. Palate: Vanilla, sultana, dried fruit, hazelnut, anise, mint, cinnamon, cotton candy, not too sweet, spicy, woody, complex, smooth, balanced. Finish: Hot, toasty, soft, fading. Nose: Buttery, butterscotch, caramel, toffee, apricot, toasty, nutty. Palate: Spicy vanilla, creamy, toffee, citrus, tropical fruit, mango, raisins, hay, sweet pepper, butternut, almond, ginger, cloves, spicy, floral, sweet, balanced. Finish: Caramel, gentle. Nose: Vanilla, nutmeg, maple, citrus elements, lightly spicy, aromatic. Palate: Creamy, vanilla, honey, caramel, sweet, treacle, toast, allspice, nutmeg, almond, pepper, coffee, tobacco, floral, grassy, woody, sherry, eucalyptus, well-balanced, robust, tasty, buttery smooth. Finish: Sharp, spicy, leather. Nose: Floral, cut grass, marzipan, molasses, sugar cane. Palate: Buttery, nutmeg, cinnamon, bananas, coconut, sweet, honey, creamy, vanilla, hazelnut, nutty, cereal, cloves, licorice, eucalyptus, pepper, spicy, robust, very smooth. Finish: Peppery, woody. Nose: Sweet, honey, molasses, lightly floral, nutmeg, citrus, pineapple, licorice, mint, toasty. Palate: Caramel, raisin, buttery, toast, treacle, citrus, orange notes, fruity, apricot, dates, fudge, hazelnut, almond, cane sugar, floral, minty, eucalyptus, leather, pepper, cloves, light, sweet, crisp, robust, well-balanced. Finish: Oak, vanilla, slightly spicy, late peppery bite. Nose: Butterscotch, vanilla, caramel, honey, molasses, apples, honeydew, orange peel, lightly floral, nutmeg, clove. Palate: Caramel, butterscotch, bright citrus, marmalade, molasses, dates, ginger, pear, nutty, oak, woody, spicy, mint, medicinal, alcohol, full-bodied, intense, complex, balanced, round, mellow. Finish: Nutmeg, smooth. Nose: Hazelnut, chocolate, pepper, bananas, guava, marmalade, a touch floral. Palate: Walnut, nutmeg, biscuit, butterscotch, honey, butter, creamy, caramel, white chocolate, fudge, toffee, almond, tropical fruit, toasted hazelnut, elderflower, grass, spicy, smoky, woody, fiery, robust, sharp, medicinal, authentic, well-balanced. Finish: Dry, smooth, strong, long. Nose: Lightly fruity, apple, banana, cherry, floral, grassy. Palate: Toffee, butterscotch, honey, buttery, vanilla, strawberry, dates, coffee, mocha, spice, creamy, smooth, sweet, well-balanced. Finish: Oak, soft, smooth. 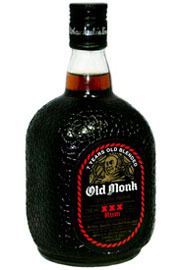 Nose: Aromatic, lightly floral, pear, apple, dried fruit, dates, treacle, maple, nuts. Palate: Fruity start, raisins, sultana, orange, citrus, vanilla, molasses, sherry, oaky, woody, smoky, pine, clove, peppery, spice, fiery, sharp, robust, well-balanced, smooth. Finish: Hot, harsh, strong, lingering. Nose: Dried fruit, grassy, toffee, bright vanilla, elderflower, orange blossom, cinnamon, nutmeg. Palate: Dark muscovado, butterscotch, honey, treacle, vanilla, piney, ginger, pepper, eucalyptus, licorice, straw, oak, woody, medicinal, strong, complex. Finish: Salty, peppery, soft, creamy, smooth, lingering. Nose: Vanilla, dried fruit, citrus, hazelnut, woodsy. 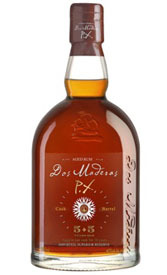 Palate: Marmalade, caramel, treacle, fig, dates, coffee, sweet, spicy punch, clove, hints of oak, woody, leather, minty, smooth. Finish: Light, dry, buttery fade. Nose: Caramel, butterscotch, vanilla, orange blossom, dried papaya, almond, hazelnut, tobacco. Palate: Light vanilla, toffee, treacle, butterscotch, cherry, orange, citrus. dried fruit, blitzkreig spiciness, salty, woody, grassy, pine, sour, medicinal, harsh, sharp, distinct. Finish: Smooth, strong, long. Nose: Sweet, honey, tropical fruit, apricot, banana, vanilla, cereal, woody. Palate: Honey, caramel, butterscotch, maple, cane sugar, apple, banana, leather, woody, pepper, spicy, hot, harsh, mellow. Finish: Smooth, short. Nose: Vanilla, maple, butterscotch, coconut, sweet citrus, toast, licorice, tobacco, oaky, light, floral, ethereal. Palate: Minty, licorice, cereal, tapioca, nuts, sour fruit, apple, spice, pepper, sweet, sherry, some wood, musty, earthy, medicinal, robust. 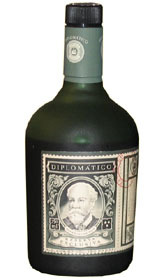 Finish: Sweet, citrusy, eucalyptus, smoky, strong, smooth. Nose: Briny, salty, cane sugar. Palate: Oak, nutty, leather, tea leaves, some fruit, toffee, licorice, pine, musty, oily, salty, briny, peat, medicinal, dry, harsh, smooth, light. Finish: Menthol, lingering.